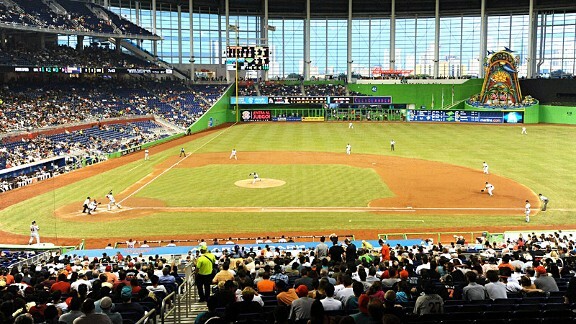 New Marlins Ball Park receives an assist for the current roster lineup. Without the new stadium, the team would not have been able to sign Jose Reyes and Mark Buehrle – which indirectly has netted them their current double play starter combination of Dietrich and Hechavarria. Henderson Alvarez, and Jarred Cosart are also part of the Roster Tree. The Marlins OF is also constituted of team Draft Picks. McGehee/Jones and Saltalamacchia are all starting position players given Free Agent deals last winter. These guys are the stop gap measure until some of their Minor League talent arrives. Miami has been a pleasant surprise in 2014, playing near .500, and extremely well at home. After this occurred, the management then flipped troubled SS Escobar to the Tampa Bay Rays for Derek Dietrich. The team also dealt away Heath Bell, and has another organizational piece still as an asset for the deal in Yordy Cabrera. The club had divested itself in over $200 MIL in potential payroll commitments. After almost 2 years, while the Jays still have Reyes and Buehrle with the club, virtually all of the players have exited. John Buck was used in a throw in the deal for R.A. Dickey, but can’t be considered a guy the Mets really wanted. The Jays did receive Catchers. Josh Thole and Mike Nickeas. It was more important the Marlins saw his remaining 2 YR/$12 MIL off of their financial books. The Marlins parlayed Marisnick, with 2013 1st RD pick Colin Moran, to acquire Jarred Cosart as part of this Roster Tree. Alvarez and Hechavarria look to be mainstays with the club going forward, with Derek Dietrich receiving significant AB at the Major League Level already. DeSclafani made his debut earlier this season, and was up for a 5 Game Start sample size already, with spitting time in New Orleans and Jacksonville to round out his campaign thus far. Justin Nicolino has started 23 games for Jacksonville (AA) and has posted a 2.81 ERA. He was the 81st ranked prospect by Baseball America prior to the launching of the year. Josh Johnson has been a disaster since leaving Florida. So really the club did a fantastic job of assessing the talent of their squad, and despite everyone scathing in anger originally, even they would have to say the franchise made out especially well in these transactions. Miami has built with their Minor League System in 2014, while also adding some veteran Free Agents such as Jarrod Saltalamacchia, Garrett Jones, Reed Johnson, Rafael Furcal – and what could be the bargain signing of the year for Casey McGehee. Furcal has since retired, but the other guys have played decently to well. The young Outfielder core of Giancarlo Stanton, Christian Yelich and Marcell Ozuna compose the teams best Draft Picks that are key components to the team being a viable club right now. When we do the Pitching side of the Roster Tree in a few weeks, a similar tale will be told. 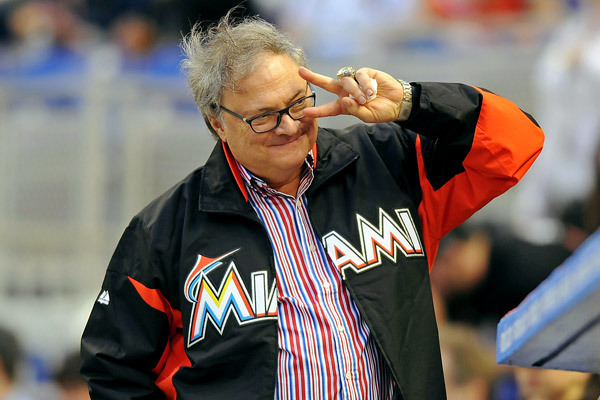 It will be up to Jeffrey Loria to open his pocket-book up again to Giancarlo Stanton. The ALL – Star, league leading Home Run hitter will not be easy to sign heading into the 2017 year. The Marlins fan base will really see what the ownership intends to do when that time is up. It is a pinnacle crossroad for the team. Until then, it will be fun to watch this young exciting team. For those that have never seen one of our Roster Trees, we go over how all of the players were acquired. It works like 6 degrees of separation. By searching back to the origin of all the way back until a player is signed, drafted or purchased. It totally gives you an idea on how the franchise has fared. Giancarlo Stanton (11/8/89) OF: Drafted by the Florida Marlins in the 2nd round of the 2007 amateur draft. Jarrod Saltalamacchia, (5/2/85) C: December 6, 2013: Signed as a Free Agent with the Miami Marlins. 3 YRs/$21 MIL. Garrett Jones (6/21/81) 1B: December 10, 2013: Signed as a Free Agent with the Miami Marlins. 2 YRs/$7.5 MIL. Casey McGehee (10/12/82) 3B: December 18, 2013: Signed as a Free Agent with the Miami Marlins. 1 YR/$1.1 MIL. Arbitration Eligible In 2015, Free Agent again in 2016. Christian Yelich (12/5/91) OF: Drafted by the Florida Marlins in the 1st round (23rd pick) of the 2010 amateur draft. Marcell Ozuna (11/12/90) OF: Signed by the Florida Marlins as an amateur free agent in 2008. Jeff Baker (6/21/81) 1B/2B: February 7, 2014: Signed as a Free Agent with the Miami Marlins. 2 YRs/$3.7 MIL. Ed Lucas (5/21/82) INF: December 10, 2012: Signed as a Free Agent with the Miami Marlins. Donovan Solano (12/17/87) 2B/3B/LF: November 22, 2011: Signed as a Free Agent with the Florida Marlins. Reed Johnson (12/8/76) OF/PH: January 31, 2014: Signed as a Free Agent with the Miami Marlins. 1 YR/$1 MIL. Jordany Valdespin (12/23/87) PH/OF/2B: December 20, 2013: Signed as a Free Agent with the Miami Marlins. Adeiny Hechavarria (4/15/89) SS/2B: November 19, 2012: Traded by the Toronto Blue Jays with Justin Nicolino (minors), Henderson Alvarez, Anthony DeSclafani, Yunel Escobar, Jake Marisnick and Jeff Mathis to the Miami Marlins for Emilio Bonifacio, John Buck, Mark Buehrle, Josh Johnson, Jose Reyes and cash. Yunel Escobar (11/2/82) SS: December 4, 2012: Traded by the Miami Marlins to the Tampa Bay Rays for Derek Dietrich. Derek Dietrich (7/18/89) 2B: Is currently playing with the Marlins. Jeff Mathis (3/31/83) C: Is currently playing with the Marlins. Justin Nicolino (11/22/91: Is a starting pitcher with Jacksonville (AA affiliate of Miami). Henderson Alvarez (4/18/90) SP: Henderson is a Starting Pitcher for the Marlins. Anthony DeSclafani (4/18/90) SP: Started a few games for Miami, and then returned to New Orleans. Jake Marisnick (3/30/91) CF: July 31, 2014: Traded by the Miami Marlins with Francis Martes (minors), Colin Moran (minors) and 2015 compensation draft pick to the Houston Astros for Austin Wates (minors), Jarred Cosart and Enrique Hernandez. Francis Martes (11/24/95) P: Signed by the Marlins as an International Free Agent in 2012. Colin Moran (10/1/92) 3B: Drafted by the Miami Marlins in the 1st round (6th) of the 2013 MLB June Amateur Draft. Jarred Cosart (5/25/90) SP: Cosart is a Starter for the Marlins right now. Enrique Hernandez ( 8/24/91) OF/SS/3B: Is playing with Miami in the big leagues thus far. Austin Wates (9/2/88) 3B: Is with New Orleans (AAA Marlins affiliate). Josh Johnson (1/31/84) SP: Drafted by the Florida Marlins in the 4th round of the 2002 amateur draft. Jose Reyes (6/11/83) SS: December 7, 2011: Signed as a Free Agent with the Florida Marlins. 6 YRs/$106 MIL or 7 YRs/$124 based on 2017 Team Option or Buyout. Mark Buehrle (3/23/79) SP: December 9, 2011: Signed as a Free Agent with the Florida Marlins. 4 YRs/$54 MIL. John Buck (7/17/80) C: November 17, 2010: Signed as a Free Agent with the Florida Marlins. 3 YRs/$17 MIL. Emilio Bonifacio (4/23/85) UT: November 10, 2008: Traded by the Washington Nationals with P.J. Dean (minors) and Jake Smolinski to the Florida Marlins for Scott Olsen and Josh Willingham. P.J. Dean (11/27/88) P: Dean never even played Minor League Baseball with the Marlins – and has been out of baseball since 2008. Jake Smolinski (2/9/89) LF: November 5, 2013: Granted Free Agency. Scott Olsen (1/12/84) SP: Drafted by the Florida Marlins in the 6th round of the 2002 amateur draft. Josh Willingham (2/17/79) LF: Drafted by the Florida Marlins in the 17th round of the 2000 amateur draft. 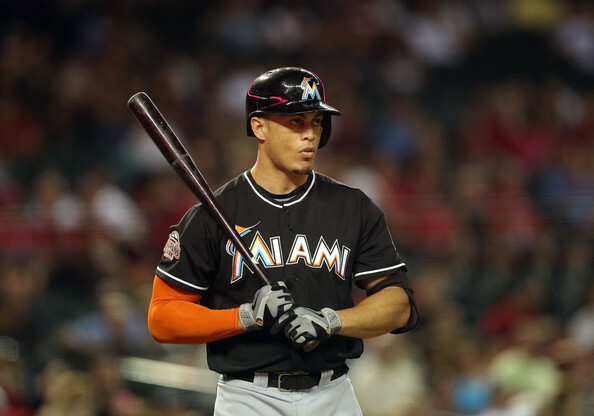 It is scary to only think the Giancarlo Stanton is just 24 years of age. This man is asserting himself as the premiere HR hitter in the National League in 2014 with 26 HRs so far. The Marlins OF has also netted 74 RBI with 228 Total Bases, both of which are NL leading. Teams have already intentionally walked him 18 times, which is another league leading category for him. Miami is 25 – 24 on the season, and they owe Stanton a huge amount of thanks for why. Stanton has 2 more years left of Arbitation before he can hit the open market, and will bank himself a hefty raise over the $6.5 MIL salary he draws in 2014. Miami drafted the slugged in the 2nd Round of the 2007 Amateur Draft. Will they be able to sign him long-term? www.baseballreference.com – the source behind all roster transactions. Posted on August 6, 2014, in MLB Roster Trees and tagged adeiny hechavarria, Anthony DeSclafani, Austin Wates, Carlos lee, casey mcgehee, christian yelich, colin moran, derek dietrich, donovan solano, Ed Lucas, emilio bonifacio, Enrique Hernandez, florida marlins, frances martes, garrett jones, giancarlo stanton, heath bell, henderson alvarez, Jacksonville Suns (EAS), Jake Smolinski, Jeff Baker, jeff mathis, jeffrey loria, john buck, jordany valdespin, jose reyes, josh johnson, josh thole, josh willingham, jupiter, justin nicolino, marcell ozuna, mark buehrle, miami marlins, mike nickeas, mike redmond, new marlins ballpark, New Orleans Zephyrs (PCL), new york mets, ozzie guillen, p.j. dean, rafael furcal, reed johnson, Scott Olsen, toronto blue jays, Yordy Cabrera, yunel escobar. Bookmark the permalink. Leave a comment.